Advance tickets starting at $25.00 for “FIGHT NIGHT” are available at all Ticketmaster outlets, The Venue/Horseshoe Box Office and HitzBoxing.com. Doors open on the night of the event at 7:00 p.m. CT with the first bell at 7:30 p.m. CT. The Horseshoe Casino is located at 777 Casino Dr. in Hammond, IN 46320. 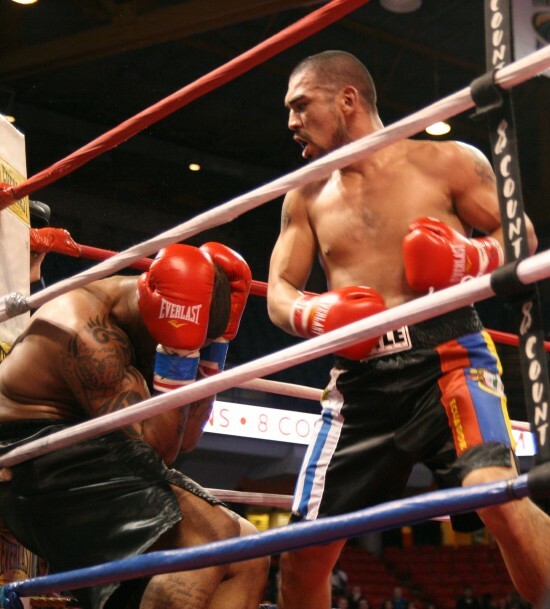 Following a hard fought battle on April 18 at the Horseshoe Casino, undefeated cruiserweight DIMAR “Strongman” ORTUZ will stay active with a return to action in a scheduled eight round clash. Ortuz improved to 9-0-1 (6KO’s) with a valiant performance in his highly anticipated return, a six round draw against hard punching Detroit veteran Mitch Williams. Bridgeport’s favorite son, hard hitting lightweight FRANKIE “Time Bomb” SCALISE, 7-1-0 (7KO’s) will return to the action looking to improve on his four-fight knockout streak. Drawing huge crowds to his four previous appearances at the Horseshoe Casino, Scalise is looking to stay active in 2014. Also coming off a fantastic performance on April 18, undefeated junior lightweight fan favorite FIDEL “Feroz” NAVARETTE will see action in a four round tilt. The 23-year-old Navarette, 5-0-0 (3KO’s), won an action packed four round unanimous decision over Tim Carrizales thrilling his huge fan base in his sixth appearance at the Horseshoe Casino. Lightweight prospect RUSSELL “Rocky” FIORE will also return to the Horseshoe Casino ring in a scheduled four rounder. Riding a six bout-winning streak, this will be Fiore’s ninth appearance at the Hammond, Indiana venue. Fighters rounding out the extensive undercard in separate bouts include; light heavyweight SIMON “The Punisher” BUETTNER, 5-1-0 (3KO’s), undefeated junior welterweight JOEY “The Celtic” PREDATOR, 2-0-0 (2KO’s), junior welterweight EDDIE RAMIREZ, 4-0-0 (3KO’s), welterweight WILL COIX, 1-0-0 (1KO), cruiserweight “Gentleman” JAMES SHORTER, 5-2-0 (3KO’s) and the pro debut of popular amateur star, SAM HOROWITZ. Since its debut in 1991, Hitz Boxing has been the Midwest’s leading boxing promoter. Led by Bobby Hitz, who boasted a 21-4 record with 18 KO’s as a boxer, Hitz Boxing is the longest running boxing promoter in the Chicago area dating back to the bi-monthly boxing series the “Ramada Rumble,” held at the former Rosemont Ramada Inn. The organization currently promotes the wildly popular “Fight Night at the Horseshoe” at the Horseshoe Casino in Hammond, IN and is the subject of the actuality show “Hitz Boxing,” a web series that has amassed over 5 million internet views. Over the year’s the organization has produced matches that have included some of the top names in boxing such as James Toney, Antonio Tarver, Montell Griffin, Iran Barkley, Andrew Golota and “Fast” Fres Oquendo. For more information, please visit: www.hitzboxing.com. Round 3 Productions was formed in 2011 by lifelong Chicago resident Frank Mugnolo and has quickly become one of the premier boxing promotional firms in the United States. Making their mark quickly, Round 3 Productions guided current #1 ranked light heavyweight contender Andrzej “The Polish Prince” Fonfara to his first world title (International Boxing Organization) in November 2012. While continuing to retain a substantial financial interest in Fonfara, Round 3 Productions has teamed with Chicago’s Hitz Boxing to sign perennial super middleweight contender Donovan “Da Bomb” George to an exclusive promotional contract with more signings of Chicago’s finest to come.